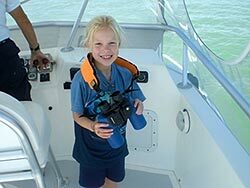 8-Yr-Old Shark Conservationist Sophi Bromenshenkel from MinnesotaCourtesy University of MiamiSecond-grader Sophi Bromenshenkel from Minnesota sold lemonade, hot chocolate, shark-shaped cookies, and wristbands to promote shark conservation, and become an international phenomenon. Earlier this year, 8-year old Sophi was named the 2011 "Ocean Hero" from Oceana, an international advocacy group working to protect the world’s oceans. She graces the front cover of the latest issue of Oceana Magazine. Through her efforts, $3,676.62 was raised to pay for satellite tags that are used to track movement of individual sharks, and provide insight on shark populations. In addition to providing safety information to recreational ocean users, the observations of how sharks navigate the ocean can be used to inform policymakers where to focus their marine protection efforts. The satellite-tagged sharks can be followed online from the website for the R.J. Dunlap Marine Conservation Program. Note that the Google Earth Plugin needs to be installed on your computer to view the maps. RV MelvilleCourtesy WHOIBeing on a ship exploring the oceans: how cool is that?! If you can't be on the ship, or maybe you get seasick and don't want to be, check out videos from a real oceanography expedition. An entire series is now on Science 360: The Knowledge Network. YouTube videos are filtered from some classrooms. Since Science 360 is sponsored by the National Science Foundation, their videos have passed a high academic standard and are not filtered. Marine Microbes: Come see videos about us!Courtesy C-MOREThe Center for Microbial Oceanography (C-MORE), headquartered at the University of Hawai`i, conducted the BiG RAPA oceanographic expedition. The C-MORE scientists sailed from Chile to Easter Island, making discoveries about micro-life in one of the least explored areas of the world's ocean. 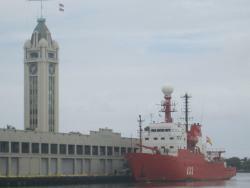 R/V Hespérides, docked at Aloha Tower in Honolulu, Hawai`iCourtesy C-MOREHow would you like to be aboard a ship, circumnavigating the globe, collecting samples from the world’s ocean? 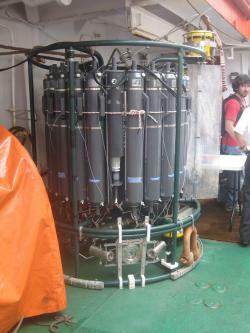 CTD: As this oceanographic instrument is lowered over the side of a ship, each gray Niskin “bottle” can be electronically triggered to collect a seawater sample from a different ocean depth.Courtesy C-MOREIn connection with the latter two goals, the Malaspina scientists met with their colleagues at the Center for Microbial Oceanography: Research and Education (C-MORE). The two groups of scientists are working together. "We can exchange data on the local effects, what's happening around the Hawaiian Islands, and they can tell us what's happening in the middle of the Pacific," said Dr. Dave Karl, University of Hawai`i oceanography professor and Director of C-MORE. 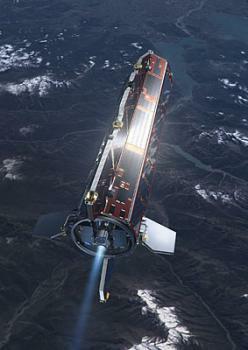 The Malaspina-C-MORE partnership is the kind of cooperation that can help solve environmental problems which stretch beyond an individual nation’s borders. 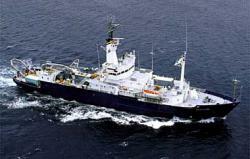 The R/V Hespérides has now left Honolulu on its way to Panama and Colombia. From there, the scientists expect to complete their ocean sampling through the Atlantic Ocean and return to Spain by July. Buen viaje! the ocean's 5 major gyresCourtesy NOAAWe often talk about the ocean ecosystem. And, indeed, there is really just one, world-wide ocean, since all oceans are connected. An Indian Ocean earthquake sends tsunami waves to distant coasts. Whitecaps look as white anywhere in the world. The ocean swirls in similar patterns. 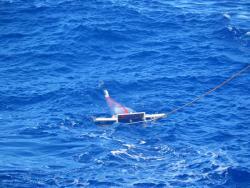 However, oceanographers do find differences from place to place. For example, let’s take a closer look at the chemistry of two swirls, or gyres as they’re more properly called. 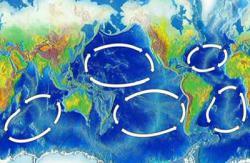 Scientists have found a micro difference between the North Atlantic Gyre and the North Pacific Gyre. The Atlantic generally has really low levels of phosphorus, measurably lower than the North Pacific Gyre. the element phosphorus among its neighbors in the Periodic Table of the ElementsCourtesy modified from WikipediaPhosphorus is a very important element in living things. For example, it’s a necessary ingredient in ATP (adenosine tri-phosphate), the energy molecule used by all forms of life. Phosphorus is picked up from seawater by bacteria. All other marine life depends upon these bacteria, either directly or indirectly, for P. Therefore, if you’re bacteria living in the impoverished North Atlantic Gyre, you’d better be really good at getting phosphorus. 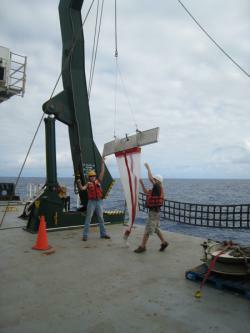 Oceanographers at the Center for Microbial Oceanography: Research and Education (C-MORE) at the University of Hawai`i have made an important discovery. 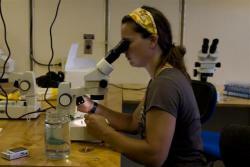 C-MORE scientists Sallie Chisholm, based at the Massachusetts Institute of Technology and her former graduate student Maureen Coleman, now a scientist at the California Institute of Technology, have been studying two species of oceanic bacteria. Prochlorococcus is an autotrophic bacterium that photosynthesizes its own food; Pelagibacter, is a heterotrophic bacterium that consumes food molecules made by others. Secondly, in the Atlantic, Prochlorococcus has different kinds of P-related genes compared to Pelagibacter. Perhaps this means the two microbial species have evolved over time to use different phosphorus sources, to avoid competing with one another for this limited resource. Drs. Chisholm and Coleman have discovered important micro differences between bacteria of the same species in two oceanic gyres. Now we can better understand how these microbes are working to recycle an important nutrient beneath the whitecaps. Earth, our place in spaceCourtesy NASALife scientists study…well, life. They want to know everything about living things on planet Earth. One of the first things biologists want to know is who’s here. What kinds of plants and animals live in a forest? --or in a field? –or in the ocean? If you’re an oceanographer who studies marine mammals, perhaps you’d go to sea on a ship with a good pair of binoculars and hunt for whales. As you focused your binoculars you’d be able to see different kinds of whale species. As you looked closer, for example at Humpback Whales, you'd see that each individual whale has a different black-white pattern on its tail. You might even take a biopsy, a small sample of whale flesh, and do a more detailed study of genetic differences among individual Humpbacks. But what if you’re a microbial oceanographer? You sure can't use binocs to hunt for microbes! How can you study individual differences among tiny creatures that are only one-one-hundredth the width of a human hair? How do you hunt and capture single-celled bacteria, like Prochlorococcus, the most common bacterial species in the world’s ocean? laser-based micro-fluidic systemCourtesy C-MOREYoung scientists, Sebastien Rodrigue and Rex Malmstrom, at the Center for Microbial Oceanography: Research and Education (C-MORE) were doing research in Dr. Sallie Chisholm’s C-MORE lab at the Massachusetts Institute of Technology when they adapted a “laser-based micro-fluidic system” used commonly by medical researchers, for the study of marine bacteria. 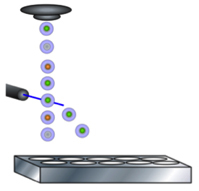 With this method they could put each individual tiny Prochlorococcus cell into its own little pool of seawater. And then the excitement began. ProchlorococcusCourtesy Dr. Anne Thompson, MITEven in scanning microscope photographs, each Prochlorococcus looks like just another teeny, tiny balloon; we can't see any individual differences. However, Sebastien and Rex used fast and inexpensive genetic methods and discovered an extraordinary variety of individual differences among Prochlorococcus. Of course the variety among these microbes doesn't have to do with tail patterns, like whales. Prochlorococcus vary in their method of getting nutrients, like iron, out of seawater. So what? Why do we care? We care A LOT because microbes like Prochlorococcus are operating at the nitty gritty level of cycling not only iron, but also other elements in the ocean. Like carbon. That's right, as in carbon dioxide accumulating in our atmosphere -- and ocean -- causing climate change and associated problems. The more we understand about individual differences among oceanic microbes, the more we'll understand how they influence and respond to changes in Earth's climate. Today marks the 100th birthday of the late, great ocean explorer and visionary Jacques Cousteau. How many remember watching “The Undersea World of Jacques Cousteau” on TV—either as a kid or with their kids? For many of us in the 1960s and 70s, a Cousteau TV special was a major event that brought the whole family together. His programs were how we first came to love and appreciate the marine world and see the effects of human actions. Cousteau was truly ahead of his time, and his conservation ethic is needed more than ever as we tackle problems like climate change, overfishing, pollution, and—of course—the devastating oil spill in the Gulf of Mexico. We can draw inspiration from his example and take steps to help the ocean. Some of the most important actions you can take involve making changes in your own home, driveway, and workplace. 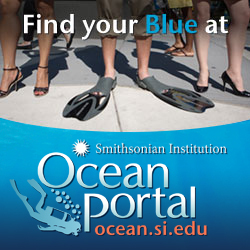 The newly launched Smithsonian Ocean Portal is an award-winning website designed to help people connect with the ocean and “Find Their Blue.” More than 20 organizations have joined forces to build this site as a way to inspire and engage more people in ocean science and issues. Why not start today, as a birthday gift to Cousteau? Tell us how he inspired you and learn more about sharks and squids, coral reefs, the deep ocean, the Gulf oil spill, and much more. Dive in and explore! I haven’t actually seen “The Day After Tomorrow,” even though it will feature prominently in this post. I did see the preview, however, and I know the title, so I’m confident that I can sum the film up pretty accurately. 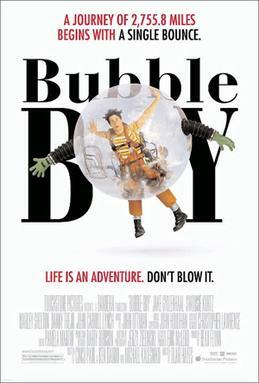 The kid from Spiderman, Peter Parker, is a young scientist trying to make a name for himself in the big city. He has a crippling fear of wolves. 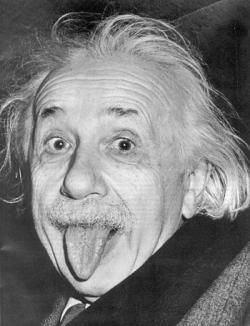 Trying to be a famous scientist, however, is a lot like trying to be a Hollywood celebrity: there are a million other kids out there just like you, except that some of them are better looking with bigger muscles, or more feminine ankles, so you have to be willing to act a little crazy, or go on camera naked. Peter Parker, fortunately, opts for the “act a little crazy” route. He soaks up a couple red bull-vodkas and starts researching. After 7 panicked days and 6 insane nights, Peter says, “Check it out! The Day After Tomorrow, the poop is really going to hit the fan!” But the scientific community was all, “Whatever, Parker. Take that shirt off, and let’s get you on camera.” They were so preoccupied with the thought of Peter’s scientist muscles that they failed to realize that he was right! Like two sick bears squatting on an airboat, the poop was really about to hit the fan. Sure enough, Peter Parker’s discovery proved to be accurate. The planet’s ocean currents went all haywire, and a couple days later things got really cold and stupid. Peter Parker, despite being shirtless at this point, was more prepared for the situation than everyone else, and he grabbed a sled and went to rescue a friend of his, possibly a beautiful woman or man, who was trapped in an elevator behind some very impressive icicles. Along the way, Peter had to avoid the many wolves that immediately moved into the frozen cities in search of delicious, un-canned human food, but once he rescued his beautiful friend the wolves could no longer be dodged. After a 45-minute-long wolf-fighting scene, Peter emerged bloody and victorious. He had truly conquered this world of the day after tomorrow! It’s a little silly isn’t it? I mean, everyone knows that ocean currents are vital for spreading heat across the planet, and moderating higher latitude climates. Duh. Surface water is warmed in the tropics, and is pushed into currents by regular wind patterns and the rotation of the Earth. 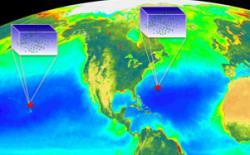 As it reaches colder seas, the water releases heat and moisture into the atmosphere. Colder and saltier now (because the salt in water doesn’t evaporate), the water is denser, and it sinks down to join deeper currents, where it will flow thousands of miles around the planet, before eventually returning to the tropics to be warmed again. Tada. 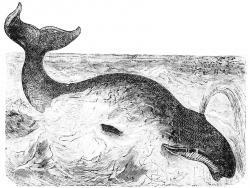 And, of course, shortly after the end of the last ice age, a huge, cold, freshwater glacial lake burst its shores and spilled into the north Atlantic, halting this water cycle and disrupting the Gulf Stream current to plunge the Earth into another thousand years of coldness. But that sort of thing couldn’t happen the day after tomorrow, could it? Noooo. We all know that. It would take years for such a tremendous change in climate to occur. What a silly movie. Or… maybe not. A new study from the University of Saskatchewan suggests that the story of Peter and the Wolves may not be as far fetched as we all thought. Based on lake core samples, the research seems to indicate that the drastic cooling, at least in Europe, could have occurred over a period as short as just a few weeks, not over the space of years, as was previously accepted. Lake cores are samples of the deep mud and sediment at the bottoms of lakes, and they’re surprisingly useful for telling what happened above a lake a long time ago. Think about it—if things got really windy, for example, lots of dust and dirt would be blown onto the lake, and it would eventually settle down to the bottom, forming a unique layer. Or if all the plants nearby died suddenly, you’d probably see less pollen in the layer deposited at that time. Scientists can even look at the isotopes of the atoms in lake core layers to learn about what was happening at the time—carbon isotopes can show how much stuff was alive in the lake, and oxygen isotopes can indicate local temperature and rainfall. Examining cores from a very old lake in Ireland, the researchers discovered that the transition to the Younger Dryas period (the sudden return to ice age-like conditions) happened very suddenly, perhaps in as short a time as a month. Peter Parker was right! Peter Parker was right! As I understand it, though, this rapid and severe change hinges on the North Atlantic Current (the Gulf Stream) being totally shut down very quickly. 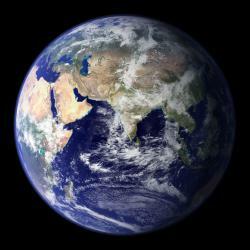 Cold fresh water released by melting icecaps could very likely affect weather patterns, but something on this scale would require a fairly catastrophic event—some scientists suggest that the Younger Dryas could have been triggered by some sort of extra-terrestrial impact, although the theory is heavily debated.